We have access to ALL available properties in Jade Beach, but for reasons of privacy some are not shown on our website. Please contact us for further details. 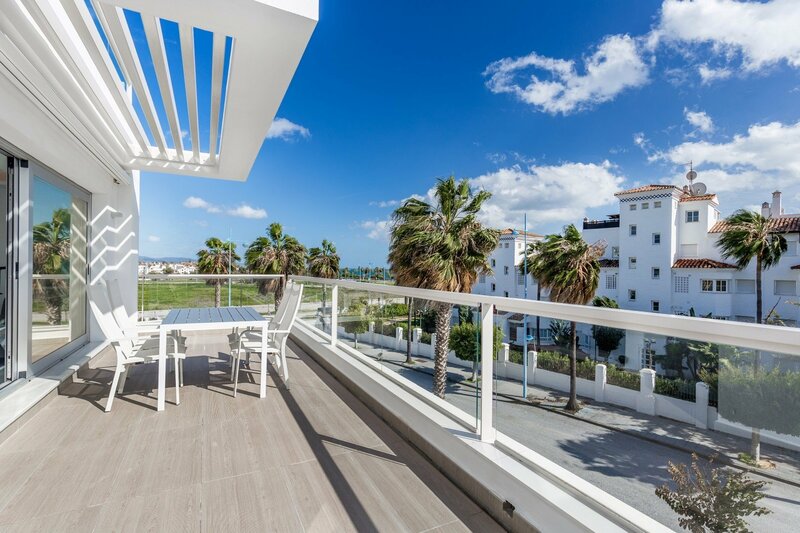 Jade Beach is located in an exclusive residential area, just 100 metres from the sea front promenade that connects Puerto Banus and San Pedro de Alcantara. 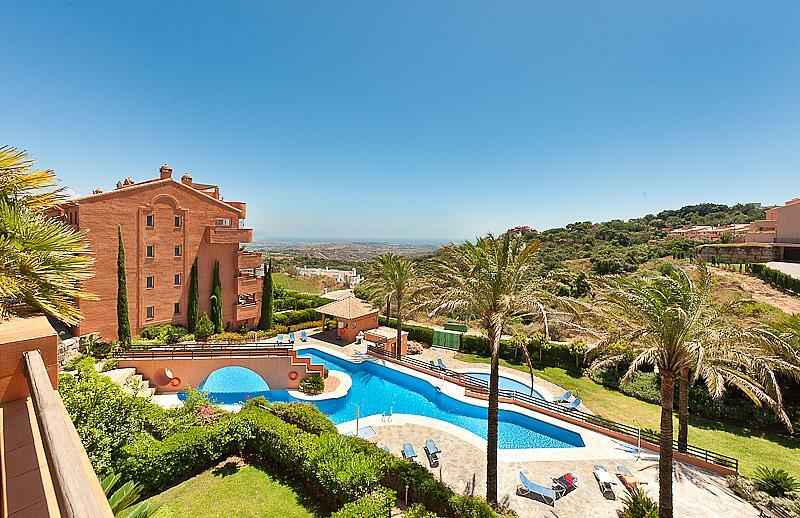 The apartments are very close to Costa del Sol’s most beautiful beaches, with Malaga International airport only 1 hour away. Just 24 apartments & penthouses with 2 or 3 bedrooms and 2 bathrooms. 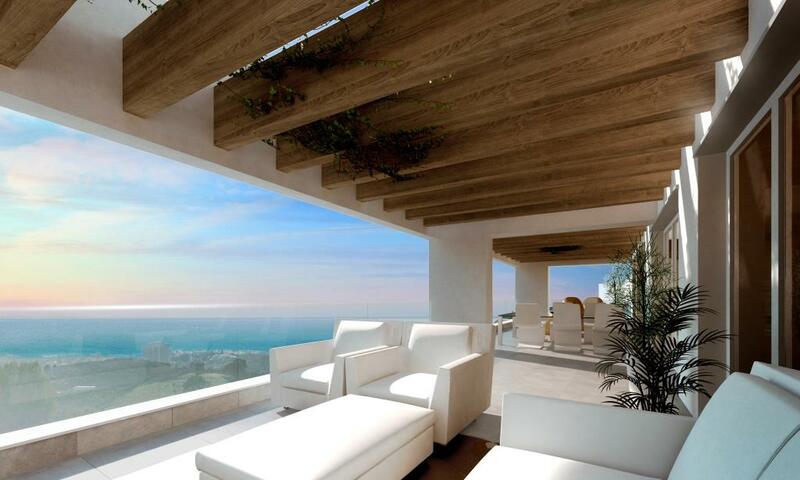 There are two types of spacious 3 bedroom penthouses available, each with incredible terraces. The resort provides a high level of security with a security checkpoint and monitored pedestrian and car entrance. Other communal areas include a swimming pool and an array of landscaped gardens. 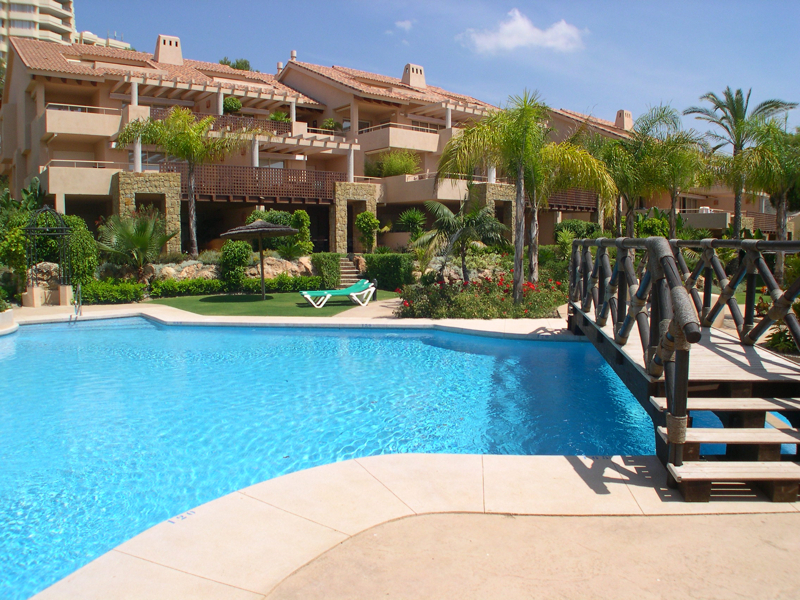 It is the ideal place for a holiday home, first home or an investment. Jade Beach is designed as a luxury gated community with modern Mediterranean style architecture. 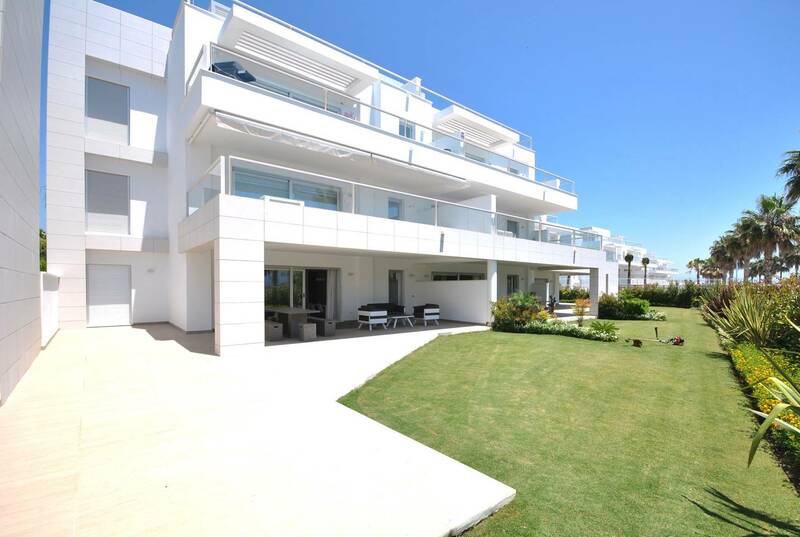 All properties are south facing to maximise the hours of sunshine that can be enjoyed from the spacious terrace areas. 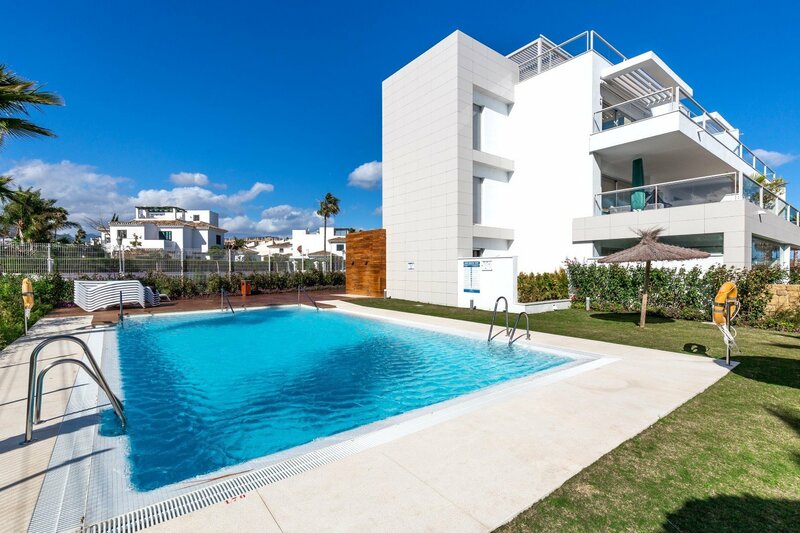 Jade Beach offers the highest standards on the Costa del Sol, with all apartments finished beautifully. The homes boast the latest trends in decoration with white 60 x 60 cm marble floors in the lounge; textured interior woodwork, furniture and the kitchen counter. All homes at Jade Beach feature motorised sun blinds, underfloor heating, shower screens in both bathrooms and a full pack of halogen lights in all rooms. The kitchens are equipped with appliances and there are top of the range sliding windows in the living rooms. Jade Beach is designed to be one of the most advanced properties on the market, both in obtaining energy savings as well as the possibility of an integrated control of the capabilities of your home. Every property has its own underground parking space and large storeroom.